A gentle treatment to help cleanse, tone and de-stress your skin. A purifying base of gentle Kaolin clay combined with soothing aloe vera and antioxidant rich rose hip oil will leave skin feeling refreshed, nurtured and completely clean. 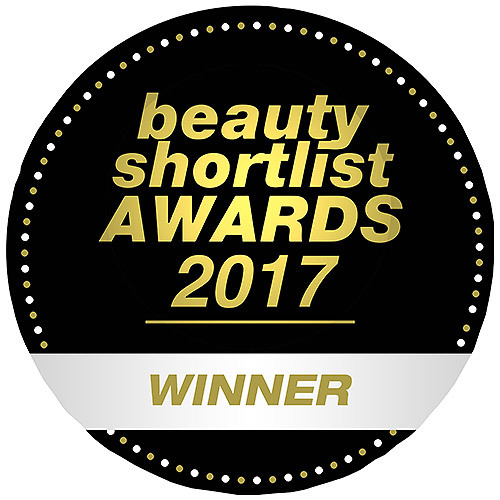 Aqua, Aloe Barbadensis Leaf Juice, Caprylic/Capric Triglycerides, Glycerin, Bentonite, Talc, Kaolin, Lecithin, Rosa Canina Fruit Oil (Rose Hip), Tocopherol (Vitamin E), Butyrospermum Parkii (Shea) Butter, Simmondsia Chinensis (Jojoba) Seed Oil, Phenoxyethanol, Benzyl Alcohol, Citric Acid, Citrus Tangerina (Tangerine) Peel Oil, Citrus Nobilis (Mandarin Orange) Peel Oil, Lavandula Angustifolia (Lavender) Oil, Vanillin, Vanilla Planifolia Extract, CI 77491, Citrus Paradisi (Grapefruit) Seed Extract, Linalool*, Limonene*. 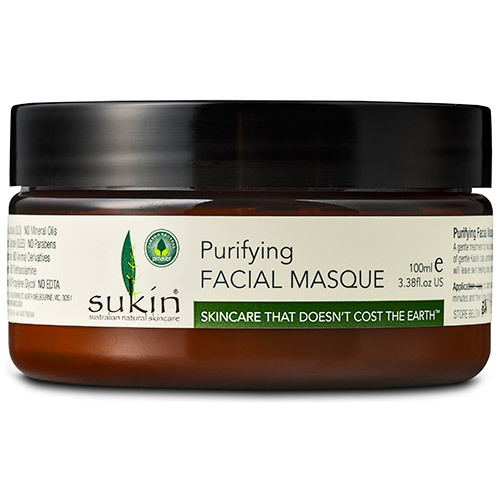 Below are reviews of Sukin Purifying Facial Masque - 100ml by bodykind customers. If you have tried this product we'd love to hear what you think so please leave a review. 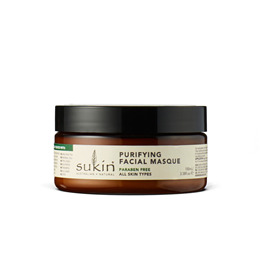 I love the Sukin range; the products always feel so natural, yet luxurious. This mask is pale pink clay one and it really perked up my winter-skin.